For mobile tyre service with truck cranes. Possible customisation for handling of rings etc. The Easy Gripper product range is designed to help tyre professionals in a multitude of conditionsand situations. Implementing the Easy Gripper makes tyre handling faster and safer, while preventing damage to tyres, rims and equipment. Installed on a truck crane, the Easy Gripper offers the optimal flexibility allowing the driver to be ableto both transport and mount the big OTR or AGRO tyres and wheels – and even single handedly. With the Gripper very risky and time-consuming handling situations become safe and easy. With a gripping range of Ø2.400 mm (94”) and a lifting capacity of 2 ton (4.400 lbs) at a CoG of 550 mm (22”),the Gripper can handle tyres up to 35”. When you handle full wheel assemblies and as inside duals, the Gripper can handle up to 33” tyres depending of the kind of tyres and rims. If you don’t handle wheel assemblies bigger than 1ton (2.200 lbs), you can choose a configuration with our Easy Gripper 2160, where we on request also can extend the gripping diameter to Ø2.400 mm (94”) to handle even the biggest AGRO tyres. The unique 3-point grip offers optimal grip and control, when handling tyres and wheels. Together with the precise rotation and tilt functions hard and dangerous work can be avoided as well as damages on tyres, rim sand equipment. The Easy Gripper Crane Module can easily and quickly be mounted on the truck crane with a quick shift system. Further, the remote control system can easily be incorporated in the control system of the crane. Narrow space around tyres and fenders can quickly be solved. By loosening just one bolt the top arm can be exchanged with a flat arm,and the two bottom arms carry the tyre below the fender. The Gripper has a light and compact design to optimize the center of gravity and the load capacity of the crane and of the total solution. 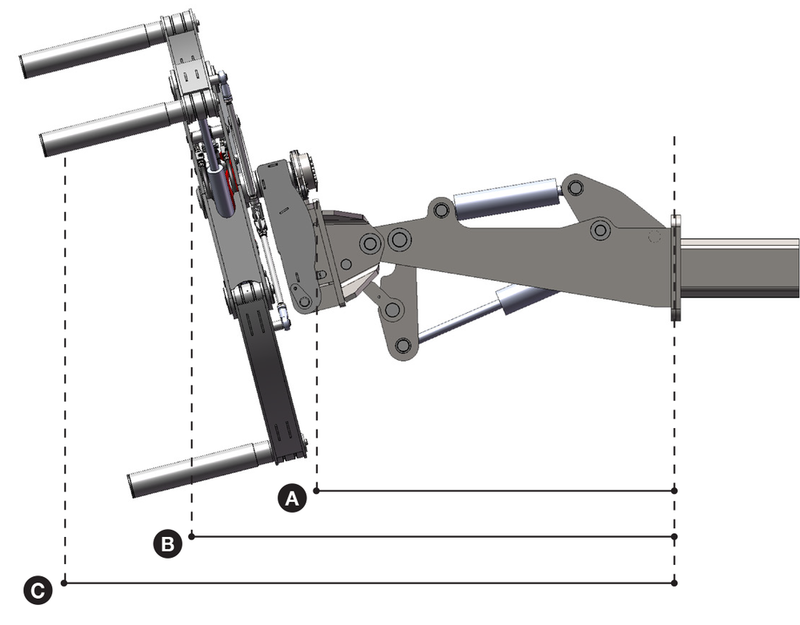 The Crane Module provides the crane with an extra 160° tilt function. One, or preferable two, hydraulic proportional valves to control the Crane Module and the Gripper.